Chittagong is a major coastal seaport city and financial centre in southeastern Bangladesh. The city has a population of more than 2.5 million while the metropolitan area has a population of 4,009,423 at the 2011 Census, making it the second largest city in the country. It is the capital of an eponymous district and division. The city is located on the banks of the Karnaphuli River between the Chittagong Hill Tracts and the Bay of Bengal. Much of Chittagong Division is located within the ecological Indo-Burma zone on the boundary of the India Plate and Burma Plate. This makes Chittagong the crossroads of the Indian subcontinent and Southeast Asia. The port city has been known by various names in history, including Chatigaon, Chatigam, Chattagrama, Islamabad, Chattala, Chaityabhumi and Porto Grande De Bengala. The natural harbour of Chittagong is an ancient gateway to the region of Bengal. It was noted as one of the largest Eastern ports by the Roman geographer Ptolemy in the 1st century. As part of the rich seafaring tradition of the Bengali people, coastal Chittagong was settled and ruled by Indian and Bengali kingdoms. Arab traders saw well-developed currency, banking and shipping in Chittagong during the 9th century. Early cosmopolitan Muslims established dominance over the port as an entrepot of maritime trade, while Arakan, Bengal and Tripura competed for control of the wider hinterland. Muslim conquest took place in the 14th century. Chittagong became the principal port of the Bengal Sultanate. It was used by several leading medieval global explorers, including Ibn Battuta and Niccolò de' Conti. Later, Mrauk U, with assistance from Portuguese trading posts, gained control of the area. The Mughal conquest of Chittagong reestablished Bengali control and ushered an era of stability and trade. The city was renamed as Islamabad. This diverse history is reflected in the rural Chittagonian dialect of Bengali, which has a nearly 50% Arabic-origin vocabulary, as well as Persian and Portuguese loanwords. Ceded to the British East India Company in 1760, Chittagong became the chief port of Eastern Bengal and Assam under the British Raj, as well as a hub of railways. A notable anti-colonial uprising took place in 1930. It was an important base for Allied Forces during the Burma Campaign in World War II. Rapid industrialization followed the war, as Chittagong became part of East Pakistan. During Bangladesh’s liberation war in 1971, Chittagong was site of the country’s declaration of independence. Modern Chittagong is an important economic hub in South Asia. It is home to the Chittagong Stock Exchange and many of Bangladesh's oldest and largest companies. The Port of Chittagong is the largest international seaport on the Bay of Bengal. It is the largest base of the Bangladesh Navy. However, despite having a high and growing urban per capita GDP in South Asia and being one of the fastest growing cities in the world, it has a poverty rate of 11.3%, as of 2010. 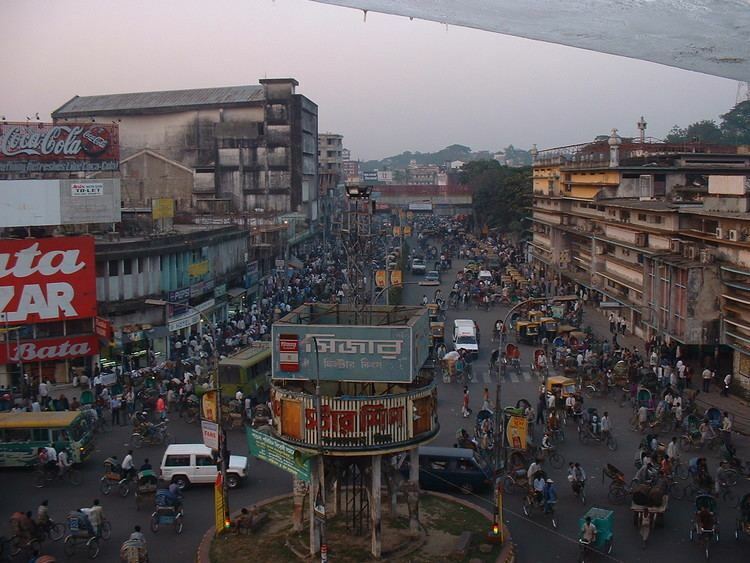 Chittagong is reputed as a relatively clean city, but still confronts substantial logistical and socioeconomic problems. The mountainous hinterland of Chittagong is the most biodiverse region in Bangladesh, with 2000 endemic plants and various critically endangered wildlife. The etymology of Chittagong is uncertain. One explanation credits the first Arab traders for shatt ghangh (Arabic: شط غنغ‎‎) where shatt means "delta" and ghangh stood for the Ganges. The Burmese tradition is that an Arakanese king, invading in the 9th century, gave the city the name Tsit-ta-gung (to make war is improper). Another legend dates the name to the spread of Islam, when a Muslim lit a chati (lamp) at the top of a hill in the city and called out (ajaan) for people to come to prayer. However, the local name of the city (in Bengali or Chittagonian) Chatga (Bengali: চাটগা), which is a corruption of Chatgaon (Bengali: চাটগাঁও) or Chatigaon (Bengali: চাটিগাঁও), and officially Chattagram (Bengali: চট্টগ্রাম) bears the meaning of "village or town of Chatta (possibly a caste or tribe)." Stone age fossils and tools unearthed in the region indicate that Chittagong has been inhabited since Neolithic times. It is an ancient port city, with a recorded history dating back to the 4th century BCE. Its harbour was mentioned in Ptolemy's world map in the 2nd century as one of the most impressive ports in the East. The region was part of the ancient Bengali Samatata and Harikela kingdoms. The Candra dynasty once dominated the area, and was followed by the Varman dynasty and Deva dynasty. Chinese traveler Xuanzang described the area as "a sleeping beauty rising from mist and water" in the 7th century. Arab Muslim traders frequented Chittagong since the 9th century. In 1154, Al-Idrisi wrote of a busy shipping route between Basra and Chittagong, connecting it with the Abbasid capital of Baghdad. Many Sufi missionaries settled in Chittagong and played an instrumental role in the spread of Islam. Sultan Fakhruddin Mubarak Shah of Sonargaon conquered Chittagong in 1340, making it a part of Sultanate of Bengal. It was the principal maritime gateway to the kingdom, which was reputed as one of the wealthiest states in the Indian subcontinent. Medieval Chittagong was a hub for maritime trade with China, Sumatra, the Maldives, Sri Lanka, the Middle East and East Africa. It was notable for its medieval trades in pearls, silk, muslin, rice, bullion, horses and gunpowder. The port was also a major shipbuilding hub. Ibn Battuta visited the port city in 1345. Niccolò de' Conti from Venice also visited around the same time as Battuta. Chinese admiral Zheng He's treasure fleet anchored in Chittagong during imperial missions to the Sultanate of Bengal. Two decades after Vasco Da Gama's landing in Calicut, the Bengal Sultanate gave permission for the Portuguese settlement in Chittagong to be established in 1528. It became the first European colonial enclave in Bengal. The Bengal Sultanate lost control of Chittagong in 1531 after Arakan declared independence and the established Kingdom of Mrauk U. This altered geopolitical landscape allowed the Portuguese unhindered control of Chittagong for over a century. Portuguese ships from Goa and Malacca began frequenting the port city in the 16th century. The cartaz system was introduced and required all ships in the area to purchase naval trading licenses from the Portuguese settlement. Slave trade and piracy flourished. The nearby island of Sandwip was conquered in 1602. In 1615, the Portuguese Navy defeated a joint Dutch East India Company and Arakanese fleet near the coast of Chittagong. The Portuguese also faced increasing onslaughts from the Kings of Mrauk U. They subsequently allied with the Arakanese and launched pirate raids on Mughal Bengal. In 1666, the Mughal government of Bengal led by viceroy Shaista Khan moved to retake Chittagong from Portuguese-Arakanese control. They launched the Mughal conquest of Chittagong. The Mughals attacked the Arakanese from the jungle with a 6,500-strong army, which was further supported by 288 Mughal naval ships blockading the Chittagong harbour. After three days of battle, the Arakanese surrendered. The Mughals expelled the Portuguese from Chittagong. Mughal rule ushered a new era in the history of Chittagong territory to the southern bank of Kashyapnadi (Kaladan river). The port city was renamed as Islamabad. The Grand Trunk Road connected it with North India and Central Asia. Economic growth increased due to an efficient system of land grants for clearing hinterlands for cultivation. The Mughals also contributed to the architecture of the area, including the building of Fort Ander and many mosques. Chittagong was integrated into the prosperous greater Bengali economy, which also included Orissa and Bihar. Shipbuilding swelled under Mughal rule and the Sultan of Turkey had many Ottoman warships built in Chittagong during this period. In 1685, the British East India Company sent out an expedition under Admiral Nicholson with the instructions to seize and fortify Chittagong on behalf of the English; however, the expedition proved abortive. Two years later, the company's Court of Directors decided to make Chittagong the headquarters of their Bengal trade and sent out a fleet of ten or eleven ships to seize it under Captain Heath. However, after reaching Chittagong in early 1689, the fleet found the city too strongly held and abandoned their attempt at capturing it. The city remained under the possession of the Nawab of Bengal until 1793 when East India Company took complete control of the former Mughal province of Bengal. 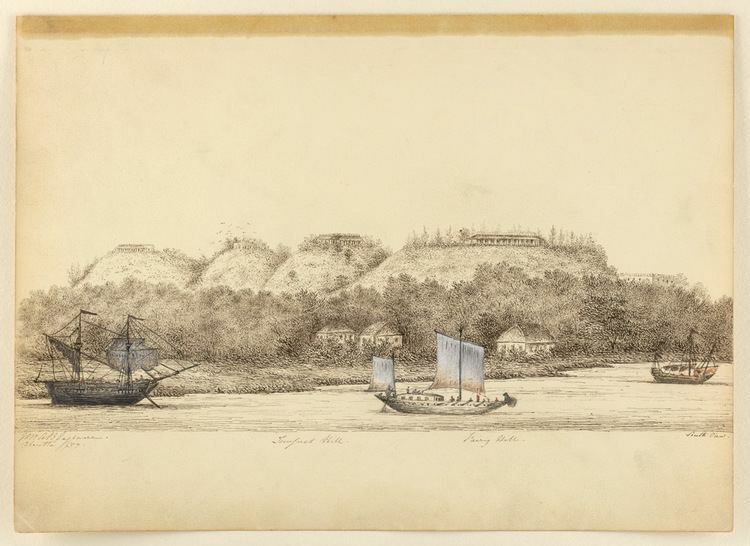 The First Anglo-Burmese War in 1823 threatened the British hold on Chittagong. There were a number of rebellions against British rule, notably during the Indian rebellion of 1857, when the 2nd, 3rd, and 4th companies of the 34th Bengal Infantry Regiment revolted and released all prisoners from the city's jail. In a backlash, the rebels were suppressed by the Sylhet Light Infantry. Railways were introduced in 1865, beginning with the Eastern Bengal Railway connecting Chittagong to Dacca and Calcutta. The Assam Bengal Railway connected the port city to its interior economic hinterland, which included the world's largest tea and jute producing regions, as well as one of the world's earliest petroleum industries. Chittagong was a major center of trade with British Burma. It hosted many prominent companies of the British Empire, including James Finlay, Duncan Brothers, Burmah Oil, the Indo-Burma Petroleum Company, Lloyd's, Mckenzie and Mckenzie, the Chartered Bank of India, Australia and China, Turner Morrison, James Warren, the Raleigh Brothers, Lever Brothers and the Shell Oil Company. The Chittagong armoury raid by Bengali revolutionaries in 1930 was a major event in British India's anti-colonial history. During World War II, Chittagong became a frontline city in the Southeast Asian Theater. It was a critical air, naval and military base for Allied Forces during the Burma Campaign against Japan. The Imperial Japanese Air Force carried out air raids on Chittagong in April and May 1942, in the run up to the aborted Japanese invasion of Bengal. British forces were forced to temporarily withdraw to Comilla and the city was evacuated. After the Battle of Imphal, the tide turned in favor of the Allied Forces. Units of the United States Army Air Forces Tenth Air Force were stationed in Chittagong Airfield between 1944 and 1945. American squadrons included the 80th Fighter Group, which flew P-38 Lightning fighters over Burma; the 8th Reconnaissance Group; and the 4th Combat Cargo Group. Commonwealth forces included troops from Britain, India, Australia and New Zealand. The war had major negative impacts on the city, including the growth of refugees and the Great Famine of 1943. Many wealthy Chittagonians profited from wartime commerce. The Partition of British India in 1947 made Chittagong the chief port of East Pakistan. In the 1950s, Chittagong witnessed increased industrial development. Among pioneering industrial establishments included those of Chittagong Jute Mills, the Burmah Eastern Refinery, the Karnaphuli Paper Mills and Pakistan National Oil. However, East Pakistanis complained of a lack of investment in Chittagong in comparison to Karachi in West Pakistan, even though East Pakistan generated more exports and had a larger population. The Awami League demanded that the country's naval headquarters be shifted from Karachi to Chittagong. During the Bangladesh Liberation War in 1971, Chittagong witnessed heavy fighting between rebel Bengali military regiments and the Pakistan Army. It covered Sector 1 in the Mukti Bahini chain of command. The Bangladeshi Declaration of Independence was broadcast from Kalurghat Radio Station and transmitted internationally through foreign ships in Chittagong Port. Major Zia Later President of Bangladesh first announced the declaration of the indepenance on behalf of Bangabondhu Sheikh Mujibur Rahman that ignited the liberation war. The Pakistani military and supporting Razakar militias carried out widespread atrocities against civilians in the city. Mukti Bahini naval commandos drowned several Pakistani warships during Operation Jackpot in August 1971. The Bangladesh Air Force and the Indian Air Force carried out heavy bombing of Pakistani military occupied facilities in December 1971. A naval blockade was also enforced. After the war, the Soviet Navy was tasked with clearing mines in Chittagong Port and restoring its operational capability. 22 vessels of the Soviet Pacific Fleet sailed from Vladivostok to Chittagong in May 1972. The process of clearing mines in the dense water harbour took nearly a year, and claimed the life of one Soviet marine. Chittagong soon regained its status as a major port, with cargo tonnage surpassing per-war levels in 1973. In free market reforms launched by President Ziaur Rahman in the late 1970s, the city became home to the first export processing zones in Bangladesh. Zia was assassinated during an attempted military coup in Chittagong in 1981. The 1991 Bangladesh cyclone inflicted heavy damage on the city. The Japanese government financed the construction of several heavy industries and an international airport in the 1980s and 90s. Bangladeshi private sector investments increased since 1991, especially with the formation of the Chittagong Stock Exchange in 1995. The port city has been the pivot of Bangladesh's emerging economy in recent years, with the country's rising GDP growth rate. Chittagong lies at 22°22′0″N 91°48′0″E. It straddles the coastal foothills of the Chittagong Hill Tracts in southeastern Bangladesh. The Karnaphuli River runs along the southern banks of the city, including its central business district. The river enters the Bay of Bengal in an estuary located 12 kilometres (7.5 mi) west of downtown Chittagong. Mount Sitakunda is the highest peak in Chittagong District, with an elevation of 351 metres (1,152 ft). Within the city itself, the highest peak is Batali Hill at 85.3 metres (280 ft). Chittagong has many lakes that were created under Mughal rule. In 1924, an engineering team of the Assam Bengal Railway established the Foy's Lake. The Chittagong Division is known for its rich biodiversity. Over 2000 of Bangladesh's 6000 flowering plants grow in the region. Its hills and jungles are laden with waterfalls, fast flowing river streams and elephant reserves. St. Martin's Island, within the Chittagong Division, is the only coral island in the country. The fishing port of Cox's Bazaar is home to one of the world's longest natural beaches. In the east, there are the three hill districts of Bandarban, Rangamati, and Khagrachari, home to the highest mountains in Bangladesh. The region has numerous protected areas, including the Teknaf Game Reserve and the Sitakunda Botanical Garden and Eco Park. Patenga beach in the main seafront of Chittagong, located 14 kilometres (8.7 mi) west of the city. Under the Köppen climate classification, Chittagong has a tropical monsoon climate (Am). Chittagong is vulnerable to North Indian Ocean tropical cyclones. The deadliest tropical cyclone to strike Chittagong was the 1991 Bangladesh cyclone, which killed 138,000 people and left as many as 10 million homeless. The Chittagong City Corporation (CCC) is responsible for governing municipal areas in the Chittagong Metropolitan Area. It is headed by the Mayor of Chittagong. The mayor and ward councillors are elected every five years. The mayor is Awami League leader A. J. M. Nasiuruddin, as of May 2015. The city corporation's mandate is limited to basic civic services, however, the CCC is credited for keeping Chittagong one of the cleaner and most eco-friendly cities in Bangladesh. Its principal sources of revenue are municipal taxes and conservancy charges. The Chittagong Development Authority is responsible for implementing the city's urban planning. Law enforcement is provided by the Chittagong Metropolitan Police and the Rapid Action Battalion-7. The District and Sessions Judge is the head of the local judiciary on behalf of the Supreme Court of Bangladesh. The Divisional Special Judge's Court is located in the colonial-era Chittagong Court Building. Although all resident embassies and high commissions in Bangladesh are located in capital Dhaka, Chittagong hosts an assistant high commission of India and a consulate general of Russia. Chittagong is also a strategically important military port on the Bay of Bengal. The Chittagong Naval Area is the principal base of the Bangladesh Navy and the home port of most Bangladeshi warships. The Bangladesh Naval Academy and the navy's elite special force- Special Warfare Diving and Salvage (SWADS) are also based in the city. The Bangladesh Army's 24th Infantry Division is based in Chittagong Cantonment, and the Bangladesh Air Force maintains the BAF Zahurul Haq Air Base in Chittagong. The city is also home to the Bangladesh Military Academy, the premier training institute for the country's armed forces. Chittagong generates for 40% of Bangladesh's industrial output, 80% of its international trade and 50% of its governmental revenue. The Chittagong Stock Exchange has more than 700 listed companies, with a market capitalisation of US$32 billion in June 2015. The city is home to many of the country's oldest and largest corporations. The Port of Chittagong handled US$60 billion in annual trade in 2011, ranking 3rd in South Asia after the Port of Mumbai and the Port of Colombo. The Agrabad area is the main central business district of the city. Major Bangladeshi conglomerates headquartered in Chittagong include M. M. Ispahani Limited, BSRM, A K Khan & Company, PHP Group, James Finlay Bangladesh, the Habib Group, the S. Alam Group of Industries, KDS Group and the T. K. Group of Industries. Major state-owned firms headquartered there include Pragati Industries, the Jamuna Oil Company, the Bangladesh Shipping Corporation and the Padma Oil Company. The Chittagong Export Processing Zone was ranked by the UK-based magazine, Foreign Direct Investment, as one of the leading special economic zones in the world, in 2010. Other SEZs include the Karnaphuli Export Processing Zone and Korean EPZ. The city's key industrial sectors include petroleum, steel, shipbuilding, chemicals, pharmaceuticals, textiles, jute, leather goods, vegetable oil refineries, glass manufacturing, electronics and motor vehicles. The Chittagong Tea Auction sets the price of Bangladesh Tea. The Eastern Refinery is Bangladesh's largest oil refinery. GlaxoSmithKline has had operations in Chittagong since 1967. Western Marine Shipyard is a leading Bangladeshi shipbuilder and exporter of medium-sized ocean going vessels. In 2011–12, Chittagong exported approximately US$4.5 billion in ready-made garments. The Karnaphuli Paper Mills were established in 1953. International banks operating in Chittagong include HSBC, Standard Chartered and Citibank NA. Chittagong is often called Bangladesh's commercial capital due to its diversified industrial base and seaport. The port city has ambitions to develop as a global financial centre and regional transshipment hub, given its proximity to North East India, Burma, Nepal, Bhutan and Southwest China. An inhabitant of Chittagong is called Chittagonian in English. For centuries, the port city has been a melting pot for people from all over the world. Its historic trade networks have left a lasting impact on its language, culture and cuisine. The urban Chittagonian dialect of Bengali has many Arabic, Persian, English and Portuguese loanwords. The immensely popular traditional feast of Mezban features the serving of hot beef dish with white rice. The cultivation of pink pearls is a historic activity in Chittagong. Its Mughal-era name, Islamabad (City of Islam), continues to be used in the old city. The name was given due to the port city's history as a gateway for early Islamic missionaries in Bengal. Notable Islamic architecture in Chittagong can be seen in the historic Bengal Sultanate-era Hammadyar Mosque and the Mughal fort of Anderkilla. Chittagong is known as the Land of the Twelve Saints due to the prevalence of major Sufi Muslim shrines in the district. Historically, Sufism played an important role in the spread of Islam in the region. Prominent dargahs include the mausoleum of Hazrat Shah Amanat and the shrine of Bayazid Bastami. The Bastami shrine hosts a pond of black softshell turtles. During the medieval period, many poets thrived in the region when it was part of the Bengal Sultanate and the Kingdom of Mrauk U. Under the patronage of Sultan Alauddin Husain Shah's governor in Chittagong, Kabindra Parameshvar wrote his Pandabbijay, a Bengali adaptation of the Mahabharata. Daulat Qazi lived in the region during the 17th century reign of the Kingdom of Mrauk U. Chittagong is home to several important Hindu temples, including the Chandranath Temple on the outskirts of the city, which is dedicated to the Hindu goddess Sita. The city also hosts the country's largest Buddhist monastery and council of monks. The Roman Catholic Diocese of Chittagong is the oldest catholic mission in Bengal. Major cultural organisations in the city include the Theatre Institute Chittagong and the Chittagong Performing Arts Academy. The city has a vibrant contemporary art scene. 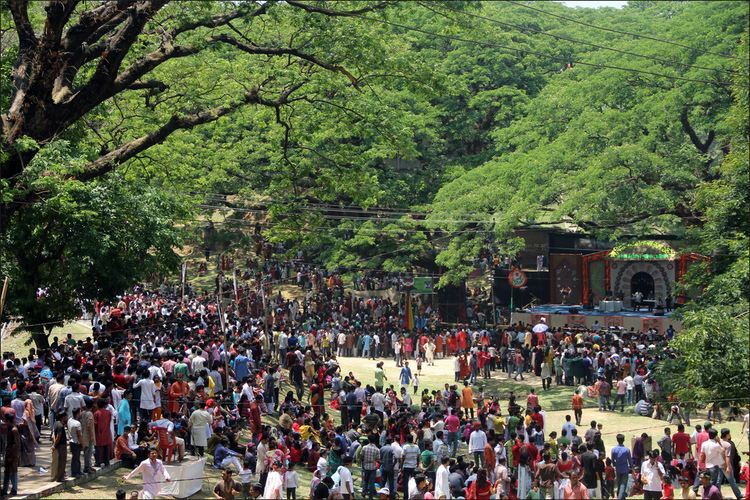 Being home to the pioneering rock bands in the country like Souls and LRB, Chittagong is regarded as the "birthplace of Bangladeshi rock music". The artistic taste of Chittagonian can be found in the articulation of the city. Even a common household can be found to be a collection of art. Sometimes, antiques, or the memorial matters of a family are preserved as art-pieces. Apart from this, home decoration is, commonly, of common interest of Chittagonian women. As a consequence, art is not only a part of the museums of the city, rather arts can be found on the walls, floor and any part of the living place of a Chittagonian. People in the area domesticate pigeons as a hobby. While pigeon-meat is considered as a delicious food, there are certain species of pigeon that are kept only for the purpose of beautification. The hospitality of Chittagonian culture is, most probably, the reason of the city's enriched food culture. Cooking and serving is considered as act of honoring guests(mehman) while presenting the taste and warm personality of the host. Mezbaan: Mezbaan e gosht/ Mezbaan aur gorur gosht (Traditional beef dish) - Mezbaan is a century-old tradition of the city where a host slaughter cow/s to celebrate a big feast with neighbors and relatives. Musallam: Most offen a chicken musallam is offered to a guest. Kebab: Chittagonians are traditionally fond of kebabs. The old kebab houses like lahams and royal hut bear the sign of Chittagong's food culture. Vegetables: Beans(soi), pumpkin (mida hodu), lentils (da'el), eggplants(bayun), cauliflower, cabbage etc. are among the most popular vegetables. Snacks and appetizers: Tea is the most popular drink in Chittagong. In fact, Chittagong has unique style of tea making method, and 'tea-kettle on the stove' is a day-to-day scenario inside a kitchen of Chittagonian house. Dried dates (khurma), dried grapes (kishmish), nuts, puffed rice, rice cakes, breads, bakeries, etc. are popular snacks of the city. Cake-art is an age-old tradition of the city. Pickle is the most common appetizers in Chittagong. Usually, pickles are made from olive, mango, plum, eggplants, etc. The environment of the city is most probably the main reason for its diversified demographics. Settlers from ancient Persia, or medieval Europe may have settled in Chittagong due to political and economic benefit. But, the unique attraction, and strong breeze of the city seem to be the driving force to led those global explorers to find their permanent home in the city. Although little known, Chittagong is the home of the longest sea-beach of the world. It is not the size, but the mystic and vivid nature of the city that creates the degree of admiration of the city. Chittagong has a population of more than 2.5 million, and its Metropolitan Area has a population of 4,009,423. By gender, the population was 54.36% male and 45.64% female, and the literacy rate in the city was 60 percent, in 2002. Muslims About 86% form the overwhelming majority of the population and rest being 12% Hindus and 2% other religions. Chittagong was a melting pot of races during the Bengal Sultanate and Mughal Bengal periods. Muslim immigration started as early as seventh century, and significant Muslim settlements occurred during medieval period. Muslim traders, rulers and preachers from Persia and Arabs were the early Muslim settlers, and descendants of them are the majority of current Muslim population of the city. The city has a relatively wealthy and economically influential Shia Muslim community, including Ismailis and Twelver Shias. The city also has many ethnic minorities, especially members of indigenous groups from the frontier hills of Chittagong Division, including Chakmas, Rakhines and Tripuris; as well as Rohingya refugees. The Bengali-speaking Theravada Buddhists of the area, known as Baruas, are one of the oldest communities in Chittagong and one of the last remnants of Buddhism in Bangladesh. Descendants of Portuguese settlers, often known as Firingis, also live in Chittagong, as well as Catholics, who largely live in the old Portuguese enclave of Paterghatta. There is also a small Urdu-speaking Bihari community living in the ethnic enclave known as Bihari Colony. Chittagong has experienced a rapid reduction in urban poverty in recent years. In 2005, the poverty rate was estimated at 27.8 percent. However, in 2010, the rate had dropped to 11.8 percent, as compared to the national average of 31.5 percent. Like other major urban centres in South Asia, Chittagong has also experienced a steady growth in its slum settlements as a result of the increasing economic activities in the city and emigration from rural areas. According to a poverty reduction publication of the International Monetary Fund, there were 1,814 slums within the city corporation area, inhabited by about 1.8 million slum dwellers, the second highest in the country after the capital, Dhaka. The slum dwellers often face eviction by the local authorities, charging them with illegal abode on government lands. There are various newspapers, including daily newspapers, opposition newspapers and business newspapers, based in Chittagong. Daily newspapers include Dainik Azadi, Peoples View, The Daily Suprobhat Bangladesh, Purbokon, Life, Karnafuli, Jyoti, Rashtrobarta and Azan. Online news paper are Karnaphuli News (karnaphulinews.com) and others news paper. Furthermore, there are a number of weekly and monthly newspapers. These include weeklies such as Chattala, Jyoti, Sultan,Chattagram Darpan and the monthlies such as Sanshodhani, Purobi, Mukulika and Simanto. The only press council in Chittagong is the Chittagong Press Club. Government owned Bangladesh Television and Bangladesh Betar have transmission centres in Chittagong. Chittagong has been featured in all aspects of Bangladeshi popular culture, including television, movies, journals, music and books. Nearly all televisions and radios in Bangladesh have coverage in Chittagong. Renowned Bollywood film director Ashutosh Gowariker directed a movie based on the 1930s Chittagong Uprising, Movie's name is Khelein Hum Jee Jaan Sey in which Abhishek Bachchan played the lead role. The southern zone of the Bangladesh Power Development Board is responsible for supplying electricity to city dwellers. The fire services are provided by the Bangladesh Fire Service & Civil Defence department, under the Ministry of Home Affairs. The water supply and sewage systems are managed by the Chittagong Water Supply and Sewerage Authority (Chittagong WASA). Water is primarily drawn from Karnaphuli River and then purified in the Mohra Purification Plant. Chittagong has extensive GSM and CDMA coverage, served by all the major mobile operators of the country, including Grameenphone, Banglalink, Citycell, Robi, TeleTalk and Airtel Bangladesh. However, landline telephone services are provided through the state-owned Bangladesh Telegraph and Telephone Board (BTTB), as well as some private operators. BTTB also provides broadband Internet services, along with some private ISPs, including the 4G service providers Banglalion and Qubee. The education system of Chittagong is similar to that of rest of Bangladesh, with four main forms of schooling. The general education system, conveyed in both Bangla and English versions, follows the curriculum prepared by the National Curriculum and Textbook Board, part of the Ministry of Education. Students are required to take four major board examinations: the Primary School Certificate (PSC), the Junior School Certificate (JSC), the Secondary School Certificate (SSC) and the Higher Secondary School Certificate (HSC) before moving onto higher education. The Board of Intermediate and Secondary Education, Chittagong is responsible for administering SSC and HSC examinations within the city. The Madrasah education system is primarily based on Islamic studies, though other subjects are also taught. Students are prepared according to the Dakhil and Alim examinations, which are controlled by the Bangladesh Madrasah Education Board and are equivalent to SSC and HSC examinations of the general education system respectively. There are also several private schools in the city, usually referred to as English medium schools, which follow the General Certificate of Education. The British Council supervises the O Levels and A levels examinations, conducted twice a year, through the Cambridge International and Edexcel examination boards. The Technical and Vocational education system is governed by the Directorate of Technical Education (DTE) and follow the curriculum prepared by Bangladesh Technical Education Board (BTEB). Chittagong College, established in 1869, is the earliest modern institution for higher education in the city. Chittagong Veterinary and Animal Sciences University is the only public university located in Chittagong city. Chittagong Medical College is the only government medical college in Chittagong. University of Chittagong is located 22 kilometres (14 miles) north and Chittagong University of Engineering and Technology is located 25 kilometres (16 miles) north of the Chittagong city. University of Chittagong, which was established in 1966 is one of the largest universities in Bangladesh. Chittagong University of Engineering and Technology, established in 1968, is one of the five public engineering universities in Bangladesh and the only such university in the Chittagong Division. The city also hosts several other private universities and medical colleges. The Chittagong Independent University (CIU), Asian University for Women, Begum Gulchemonara Trust University, East Delta University, International Islamic University, Premier University, Southern University, University of Information Technology and Sciences and the University of Science & Technology Chittagong are among them. Chittagong has public, denominational and independent schools. Public schools, including pre-schools, primary and secondary schools and special schools are administered by the Ministry of Education and Chittagong Education Board. Chittagong has governmental and non-governmental primary schools, international schools and English medium schools. The Chittagong Medical College Hospital is the largest state-owned hospital in Chittagong. The Chittagong General Hospital, established in 1901, is the oldest hospital in the city. The Bangladesh Institute of Tropical and Infectious Diseases (BITID) is based the city. Other government-run medical centres in the city include the Family Welfare Centre, TB Hospital, Infectious Disease Hospital, Diabetic Hospital, Mother and Children Hospital and the Police Hospital. Among the city's private hospitals are the Chittagong Metropolitan Hospital, Surgiscope Hospital, CSCR, Centre Point Hospital, National Hospital and Mount Hospital Ltd.
Transport in Chittagong is similar to that of the capital, Dhaka. Large avenues and roads are present throughout the metropolis. There are various bus systems and taxi services, as well as smaller 'baby' or 'CNG' taxis, which are basically tricycle-structured motor vehicles. There are also traditional manual rickshaws, which are very common. As the population of the city has begun to grow extensively, the Chittagong Development Authority (CDA) has undertaken some transportation initiatives aimed at easing the traffic congestion in Chittagong. Under this plan, the CDA, along with the Chittagong City Corporation, have constructed some flyovers and expanded the existing roads within the city. There are also some other major expressways and flyovers under-construction, most notably the Chittagong City Outer Ring Road, which runs along the coast of Chittagong city. This ring road includes a marine drive along with five feeder roads, and is also meant to strengthen the embankment of the coast. The government has also approved the construction of a 3.4 kilometres (2.1 mi) underwater expressway tunnel through the Karnaphuli river to ensure better connectivity between the northern and southern parts of Chittagong. This tunnel will be the first of its kind in Bangladesh. The N1 (Dhaka-Chittagong Highway), a major arterial national highway, is the only way to access the city by motor vehicle from most other part of the country. It is considered a very busy and dangerous highway. This highway is also part of AH41 route of the Asian Highway Network. It has been upgraded to 4 lanes. The N106 (Chittagong-Rangamati Highway) is another important national highway that connects the Chittagong Hill Tracts with the city. Chittagong can also be accessed by rail. It has a station on the metre gauge, eastern section of the Bangladesh Railway, whose headquarters are also located within the city. There are two main railway stations, on Station Road and in the Pahartali Thana. Trains to Dhaka, Sylhet, Comilla, and Bhairab are available from Chittagong. The Chittagong Circular Railway was introduced in 2013 to ease traffic congestion and to ensure better public transport service to the commuters within the city. The railway includes high-speed DEMU trains each with a carrying capacity of 300 passengers. These DEMU trains also travel on the Chittagong-Laksham route which connects the city with Comilla. The Shah Amanat International Airport (IATA: CGP, ICAO: VGEG), located at South Patenga, serves as Chittagong's only airport. It is the second busiest airport in Bangladesh. The airport is capable of annually handling 1.5 million passengers and 6,000 tonnes of cargo. 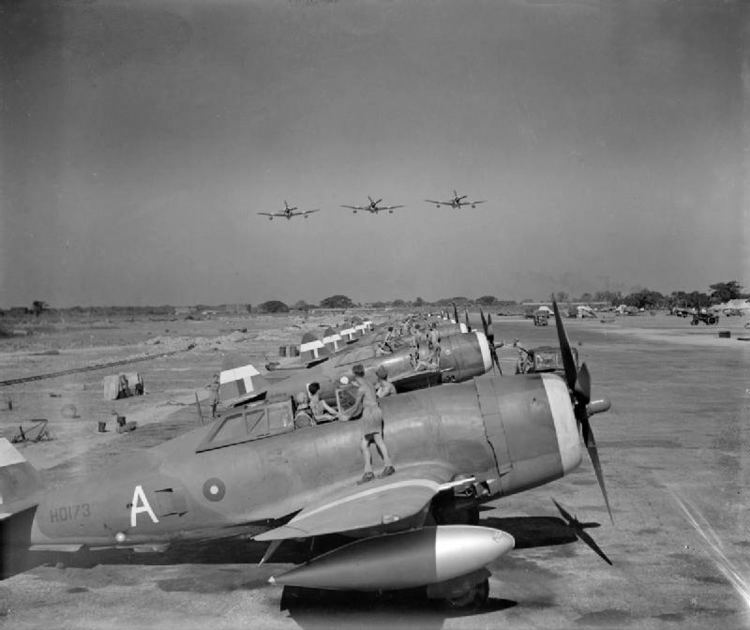 Known as Chittagong Airfield during World War II, the airport was used as a combat airfield, as well as a supply point and photographic reconnaissance base by the United States Army Air Forces Tenth Air Force during the Burma Campaign 1944–45. It officially became a Bangladeshi airport in 1972 after Bangladesh's liberation war. International services fly to major cities of the Middle East as well as to Bangkok, Kuala Lumpur and Kolkata. At present, Middle Eastern low-cost carriers like Flydubai, Air Arabia, Oman Air and Southeast Asian airlines Malindo Air, Thai Smile operate flights from the city to these destinations along with local airlines. All Bangladeshi airlines operate regular domestic flights to Dhaka. The airport was formerly known as MA Hannan International Airport, but was renamed on 2 April 2005 by the Government of Bangladesh. Chittagong has produced numerous cricketers, footballers and athletes, who have performed at the national level. Tamim Iqbal, Akram Khan, Minhajul Abedin, Aftab Ahmed, Nafees Iqbal, Nazimuddin, Faisal Hossain, Shaheedur Rahman are some of the most prominent figures among them. Cricket is the most popular sport in Chittagong, while football, tennis and kabaddi are also popular. A number of stadiums are located in Chittagong with the main one being the multipurpose MA Aziz Stadium, which has a seating capacity of 20,000 and hosts football matches in addition to cricket. MA Aziz Stadium was the stadium where Bangladesh achieved its first ever Test cricket victory, against Zimbabwe in 2005. The stadium now focuses only on football, and is currently the main football venue of the city. Zohur Ahmed Chowdhury Stadium, is currently the main cricket venue of the city, which was awarded Test status in 2006, hosting both domestic and international cricket matches. The city hosted two group matches of the ICC Cricket World Cup 2011, both taking place in Zohur Ahmed Chowdhury Stadium. Other stadiums in Chittagong include the Women's Complex Ground. Major sporting clubs such as, Mohammedan Sporting Club and Abahani Chittagong are also located in the city. Chittagong is also home to the Bangladesh Premier League franchise, the Chittagong Vikings. Oli Ahmad, Colonel, national hero, and politician.